"WARP FIVE!!!" 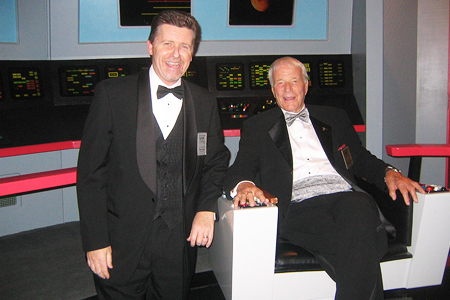 With famed "Original 7" astronaut Scott Carpenter on the "flight deck" of the Enterprise. San Diego Air & Space Museum's "Star Trek: The Exhibition" (prior to emceeing annual Hall of Fame Induction Gala honoring Mr. Carpenter), October 25, 2008.